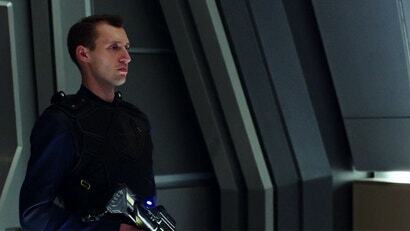 First introduced in Star Trek: Deep Space Nine’s sixth season, Section 31 has since made appearances in Enterprise, the alt-timeline “Kelvin” reboot film Star Trek Into Darkness, and most recently Star Trek: Discovery—with Michelle Yeoh’s Mirror version of Phillipa Georgiou joining the clandestine group for the show’s second season (and even a whole spinoff show with her that could be following the organisation’s exploits). These appearances have made Section 31 less of the dark cost of the war Deep Space Nine’s back half plunged itself into, and more of a dirty secret that has always existed beneath the ideals of Starfleet and the Federation. But if you actually want to know what they do, here’s all you need to know. Although other races in Star Trek have similar intelligence organisations—the Cardassians, for example, had the Obsidian Order, while the Romulans most infamously had their secret police, the Tal Shiar—what sets Starfleet apart is that it actually had two rival groups acting as intelligence operatives. The official public “face” of spycraft in Starfleet is, unsurprisingly, Starfleet Intelligence, which primarily monitored information and gathered it to watch for potential threats to Earth and the Federation at large. But Starfleet Intelligence, like the Tal Shiar and the Obsidian Order, is a public-facing official branch of its government. Section 31, Earth’s other intelligence group, isn’t. In fact, it’s so secretive, barely anyone in Starfleet outside of the organisation actually knows it even exists. But existed it has. While we’ve not seen a whole lot of Section 31 in Star Trek’s television history, what we have seen tells us that it’s been influencing the path of Starfleet and the Federation for a very, very long time. Enterprise revealed that Lieutenant Reed was an operative of the group before he rejoined Starfleet at large as a tactical officer—although Section 31 can re-task former members with operations at any time, as we saw with Reed in the show’s fourth season. Set a century later, Discovery never named the group until a deleted scene released at Wonder Con earlier this year, but it’s draped in the shadows of what the group represents; after all, the Discovery itself and its experimental spore drive technology are top secret Starfleet tech. The black delta insignia of what would eventually be revealed as Section 31 is seen on crewmembers all over the Discovery, so even if most of the Starfleet crew aboard don’t exactly know it, the group had a major part in overseeing the Discovery’s early trial runs with the spore drive. Unsurprisingly, we learn the most about Section 31 in the most chronologically recent series it’s appeared in through the Star Trek timeline—the series the faction first appeared in, Deep Space Nine. Although still a highly secretive organisation (here, it’s established that Section 31 not only operates beyond Starfleet’s jurisdiction, but is pretty much an entirely autonomous outlet that acts, as Doctor Bashir describes them, as its own judge, jury, and executioner), the Section 31 of Deep Space Nine has become more open compared to is predecessors of centuries prior, even if their existence is still officially denied by Starfleet and the Federation. Multiple times we see them actively trying to recruit Starfleet officers like Bashir during the outbreak of the Dominion War—a threat that does indeed seem like it would easily fall under Article 14's purview—through the act of kidnapping and extensive interrogation, but recruits who refuse to sign up (like Bashir) are never actually told they have to keep silent about Section 31's existence. It just becomes a dirty secret everyone chooses to ignore to maintain the illusion of decency. The operations “modern” Section 31 got up to in Deep Space Nine are also much bigger in scale than the missions we saw the Enterprise-era Section 31 mucking about with, too—even if the remit of the Dominion War meant the organisation could push itself to the limit. Assassination, infiltration, even proxy wars all become part of the group’s playbook in its attempts to save the Federation from almost certain destruction. Section 31 plays a fundamental role in the denouement of the Dominion War and Deep Space Nine at large. 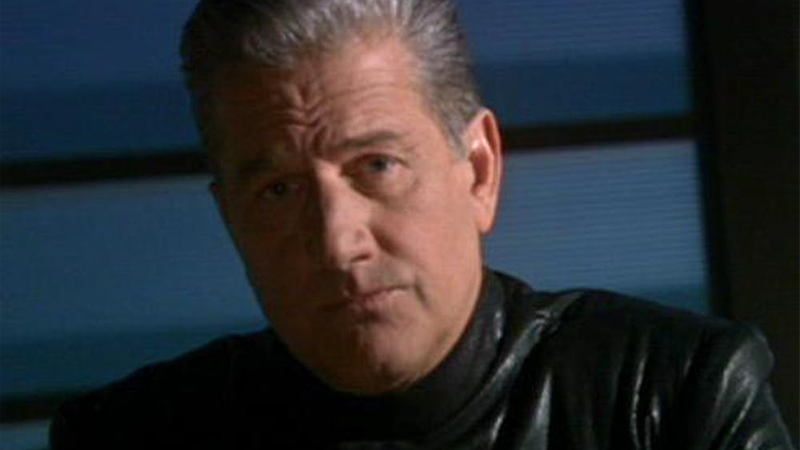 They were the group that developed the virus killing the Founders in the war’s final years, having used Odo as an unwitting vector in an attempt to commit genocide. Without Odo offering a cure in exchange for the de-escalation of hostilities, Section 31 might have gotten away with enacting one of the highest war crimes conceivable in the Federation, a true marker of just how dark things had become.